Jill Liddington will be at The Book Corner, The Piece Hall, Halifax on Sunday 14 October, 5:00pm-6:00pm to discuss women’s fight for suffrage in Halifax. In December 1918, women could for the very first time go to the polls to elect their MP. 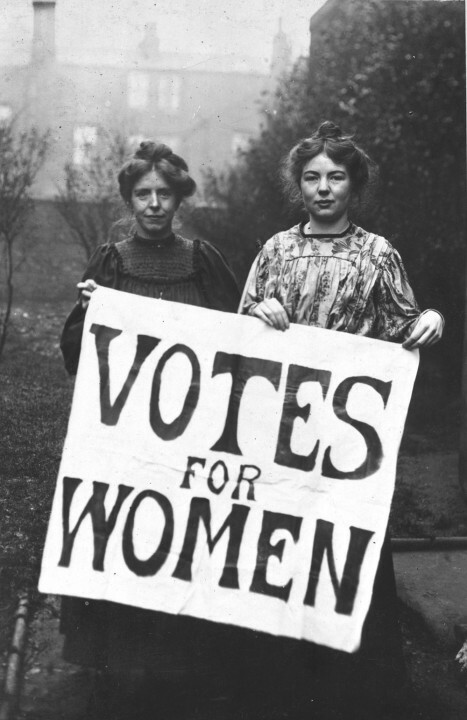 Votes for Women was won only after a long and bitter struggle. In Halifax, suffragettes had marched, endured prison, and boycotted the government’s 1911 census. Among them was Laura Willson, a working-class girl who became a weaver, and Lavena Saltonstall, a tailoress in a clothing factory. How did they help win the women the vote in Halifax ~ and what did they do afterwards? Tickets priced at £3 can be purchased through Eventbrite. ← North and East Halifax Friday Flyer 5 October – OUT NOW!